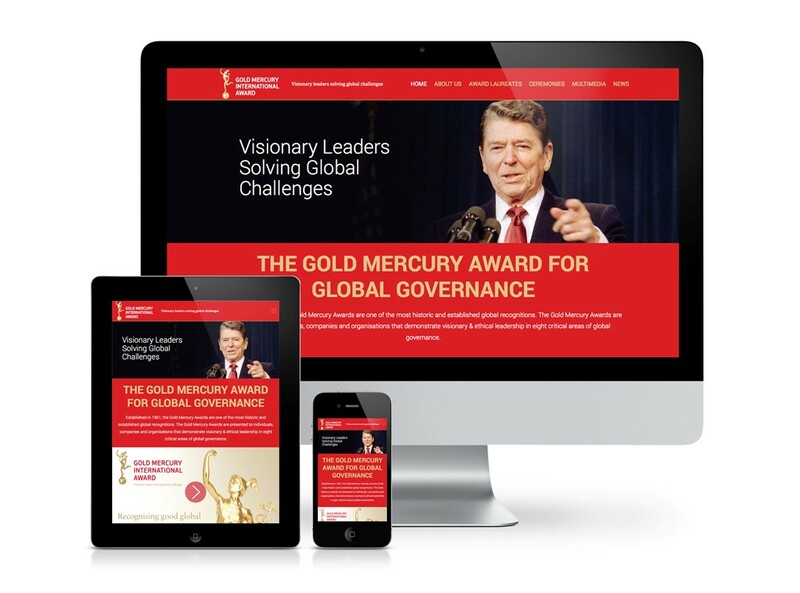 The Gold Mercury International Award has redesigned its website to make it easier to navigate and to operate on mobile devices, and to deliver a new, more modern user experience and interface. Going responsive allowed Gold Mercury to also redesign the experience and organise its multimedia and video content better, adding exciting new sections on its laureates and the Award Ceremonies, including podcasts and videos. By tracking visitor data we have realised that more and more were using mobile devices. We have developed this site to offer the best user experience no matter what device our visitors are using. The new design allows for bigger pictures to be used about the Award laureates and the ability to broadcast LIVE event transmissions on all devices via simulcasting.